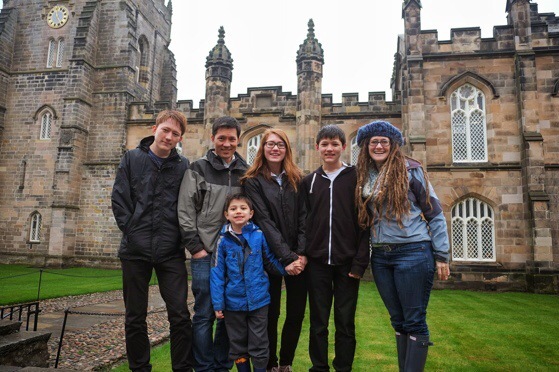 In celebration of the fact that we have now been in Scotland for one year, here’ s a quick look back at the last twelve months of life at the Chino House. My mom came and we discovered some castles and made a trip to Edinburgh. Oh, and Taido and I went camping. I went to Dublin for TBEX and got to experience another, wilder side of Ireland. Then we all went to the Lake District and fell head over heels just like Wordsworth. We discovered Glen Tanar on one of our many walking quests. Mary Polly and I had a getaway weekend in Edinburgh where we saw the Christmas Market and took a side trip to Glencoe and Loch Ness. Also, I made my first trip to London for World Travel Market. In December I decided to finally declare myself a writer and I wrote 12 Days of Stories. Even better, my parents came to visit. I started #48walks, which made us get outside, even in winter. I took Ben and Simon to Edinburgh to see The Lion King. And I went to London for one night to attend a dinner for Out of Office Bloggers. I am not going to lie. I was really down in February, but I kept putting one foot in front of the other. I kept walking and telling stories. Also, we moved from our tiny flat to a house. We went for more walks, along the coast and in the shire. We had our first non-family visitor. And we continued waiting patiently for spring. The kids had two weeks off from school in April. For the first week we along with Taido to Durham, England, where he was speaking at his first academic conference. We also explored North Yorkshire a bit. Then my mother-in-law flew us all to Ireland for a week. We walked and walked. And it was all green and sunshine and wonderful grace. My sister came and walked St Cuthbert’s Way with me. Simon and I went to Mauritius. Mary Polly and I went to see One Direction in Edinburgh. My friends, Kristie and Jermaine came to visit. My friend, Sarabeth and her daughter, Elizabeth came to visit. 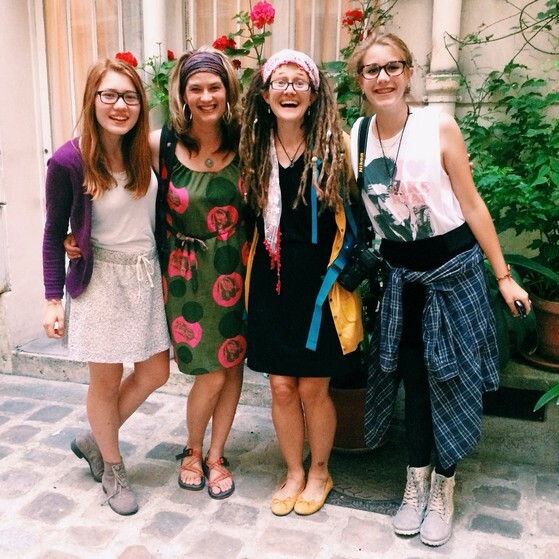 Mary Polly and I went with them to Paris. After they went home, we stayed in Switzerland for three more weeks. It was bliss. We made a long journey home through the EuroTunnel. We dropped Ben and Taido off at the airport in London so that they could head to Norway for Ben’s 13th. 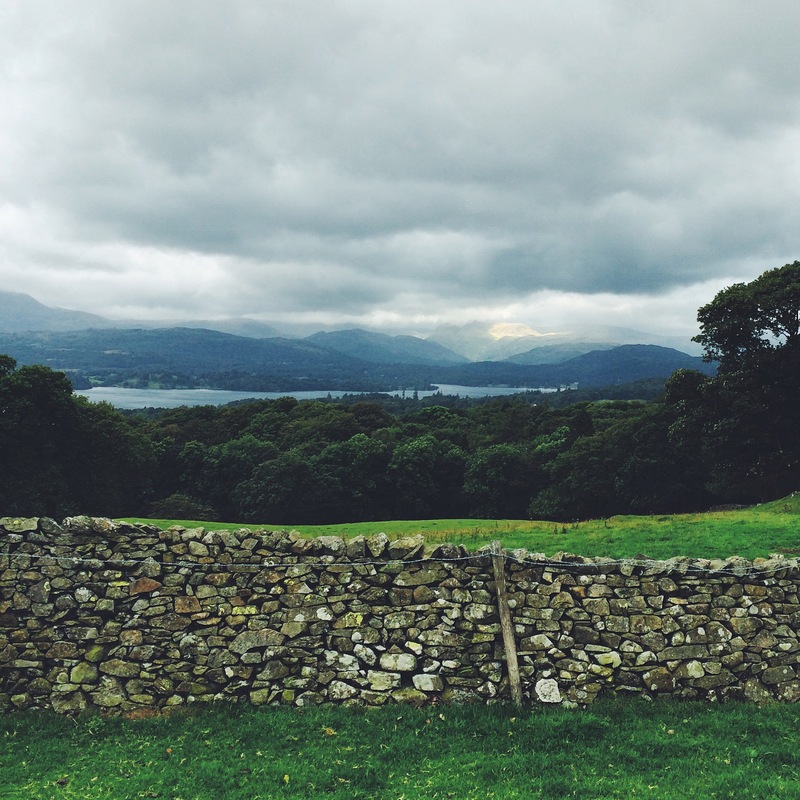 The rest of us took our time road tripping up the M6, with stops at BlogStock and the Lake District. When I look back over the year, I really cannot believe all that we have gotten to do and see. And on a tight budget to boot. My travel writing has opened up new worlds, literally and figuratively. I am ridiculously thankful. I am hopeful that the next year will continue to bring all kinds of new adventures. We already have a few up our sleeves. Then in October I will go back to TBEX, this time in Athens and with my friend Sarabeth who is speaking. November will be quiet, so hopefully I will finish the book I am writing. And in December we will all fly home for Christmas. Thank you so much for following along and walking with me this year. Every time you post a picture with #48walks or leave a comment or send me an email, it makes my day. Here’s to another year of walking. Into the dark, into the light and into the unknown. February is a hard month isn’t it? I love all the great things you have done and are willing to share. Here’s to the second February in Scotland not sneak attacking us expats! YES it is! Amen to that!! What a busy, busy year! God Bless the Chino family. I found you through your posts on Arkansas Women Bloggers and I am excited to maybe get the chance to meet you at the conference. You’re all one amazing family! What a blessed and rewarding year in Scotland. How many more to go? I’m sure it’s going to be even more enriching to see your children grow up in another country and gather experience they wouldn’t be able to back home. All the best for the next year!